I have got my Kindle Touch a few weeks ago and I have been using it very regularly. 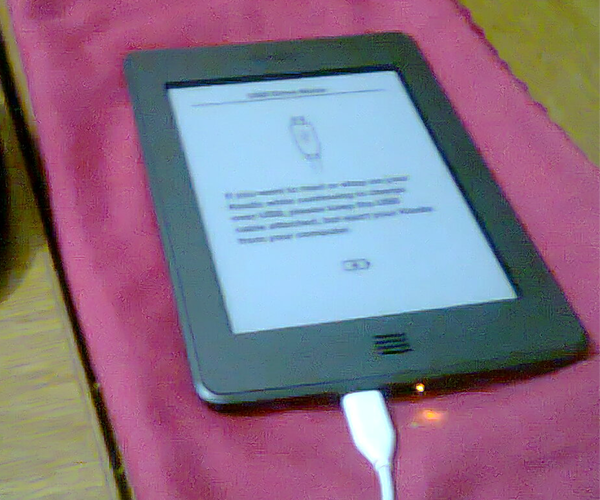 Reading Experience: When I bought it my main question was will I be able to read the PDF books? 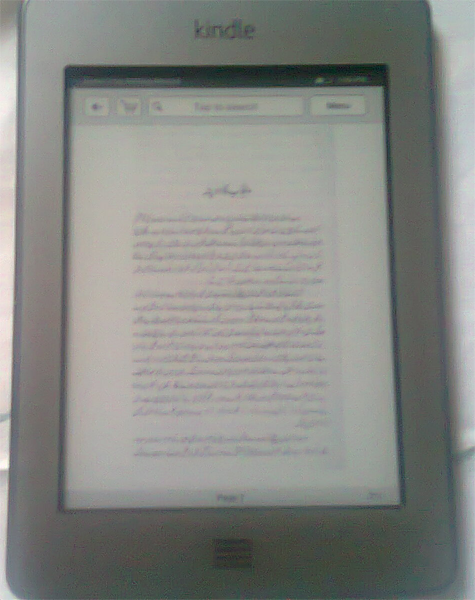 I knew it is one of the best device for English books reading but I was going to use it both for English and Urdu PDFs. So even before ordering, I was a bit nervous if it would handle it or not. But it is opening and rendering the PDF documents I have in both languages smoothly and the touch system is also a blessing as I have to do a lot of zoom in/out. So I would give 9/10 for this PDF support. Also, I have used it both in sunlight and power lights at night / room and it is easy on eye and gives a good feeling. Touch System: This is Amazon’s first touch Kindle device and I would say it is not bad. I agree it doesn’t match the quality of touch from Apple but at this price and the purpose for which this device is used, I am pretty satisfied with it. Size and Weight: I really liked this device’s size. One could hold it in one hand and read for hours without any difficulties as this is very light weight. Battery Life: This was one of the high point for me to buy this. Daily I read for about 1-1.5hrs on average and while reading due to the PDF documents, I have been zooming in / out and the battery it consumes is very less. Experimental: There are some experimental features in this like web browser and mp3 player. Although I am not using them regularly but they worked pretty fine. Connectivity: Being registering this device in Pakistan and using it from here, I don’t have access to the amazon services directly but via WiFi, I am able to browse Amazon Kindle Store and other websites via its experimental web browser. It was pretty easy to setup my WiFi in Kindle. Overall I am very satisfied with this and I would recommend this for any one who likes to read. There was only one negative point which I didn’t like was to not have the power adapter included in normal purchase. It is sold separately. I didn’t know this when I ordered it and it was not easy for me to order a separate item again as my friend was bringing this for me from US.